We decided we'd love to talk about books that are set in places we'd love to visit! contemporary is the beach setting of Crystal Cove which is real and if you follow Jessi Kirby on Instagram you know why she nails the beach town setting in this book -- she lives this amazing beach life! It seems like a lovely place to go and relax and I SO want to actually travel there one day. 2. Naples, Italy // My Brilliant Friend by Elena Ferrante: I've been to Rome and Florence but there is sooooo much of Italy I want to explore and reading My Brilliant Friend this year definitely made me want to visit Naples soooo badly. 3. Jackson Hole, Wyoming // Unearthly series by Cynthia Hand: I had a friend from college who grew up in Jackson Hole and I became obsessed with it and added it to my travel bucket list. While I was reading this fantastic paranormal YA trilogy, I felt this even more strongly. You really feel transported reading this one! 4. Paris, France // Perfume: The Story of a Murder by Patrick Suskind: I read this a while back but loved the book. It's set in like 19th century Paris if I recall correctly. It's actually one of the few books that I have read set in France. But I am so excited to go there soon, I just had to include something. Plus I really liked this book. 5. New York City // The Bridge by Rebecca Rogers Maher: This book isn't one that you would normally see on this list, considering it's a story about two people who meet on the Brooklyn Bridge while both are trying to commit suicide. The story is each person trying to convince the other that life is worth living over the course of 24hrs. I really enjoyed this story and setting it in NYC made me want to go back and do a real trip there (not just a work trip) so badly. studying abroad, but I lived in the west (near all the pandas), but one place I wanted to see that I didn't get to was South Eastern China, specifically Guilin with the mountains the look like big hills with the rivers that run through them. I love the pictures of that area so much. That is pretty much where most of The Painted Veil took place. A great book and a great movie! 7. St. Petersburg, Russia // The Jewel of St. Petersburg by Kate Furnivall: Russia has been on my bucketlist for as long as I can remember. This book was the one that pushed it into "Why can't I be there now?!" territory. I love books set in turn of the century Russia. This one was one I read and just adored. 8. Atlanta, Georgia // Gone with the Wind by Margaret Mitchell: I haven't been to much of the South. I mean, I have hit up a lot of the beach cities along the cost, but if you look at my filled in map of America, the South is definitely what I am missing the most of. I remember reading Gone with the Wind and really wanted to experience some of that old world. I want to go to Atlanta for a lot of reasons, but one of them is because of the history that's tied to it. 9. Puerto Rico // A Fierce and Subtle Poison by Samantha Mabry: I've never been to an island, but if I ever get a chance, I'd love to visit Puerto Rico. The rich heritage and colorful characteristics in this book gives a new life to the lifestyle. Heck, I'll just move there. 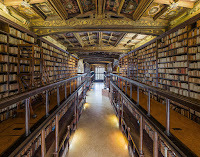 visit Oxford Bodleian Library. Can anyone just waltz in there? If not, I'll start working out and 007 myself in. What settings have you read that YOU want to travel to? Ooh nice! This topic didn't occur to me! Wish it had! This sounds like fun, but also challenging I think because I can't really remember all the locales of the books I read! LOL! Great idea for a list. Maybe we can all do this one sometime! 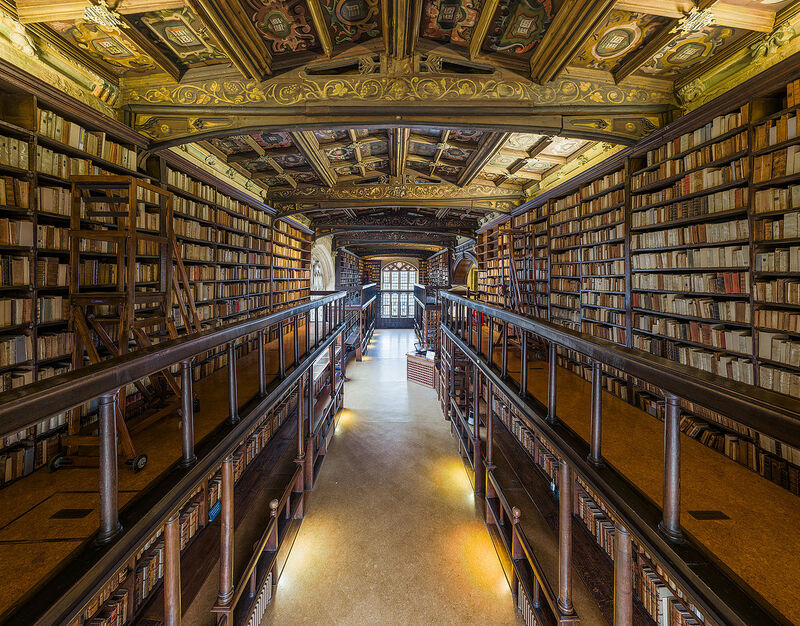 The Bodleian Library has been on my list of places to visit for so long! It's beyond gorgeous - I really hope you get to visit one day! St. Petersburg also seems like an incredible place to visit, and I definitely need to read The Jewel of St. Petersburg! Great list! I visited Oxford recently - you can't just walk in to the Bodleian library (unless you're a student there) but I believe they run tours. I LOVE Crystal Cove!! It's super pretty and now I have to read Moonglass, how fun! I really want to explore more of Italy too, I love books set it Italy. I haven't really been to the South either, unless you count airports haha, and Atlanta is on my list! What a great topic! It's funny...I enjoyed My Brilliant Friend, but it makes me less inclined to want to go to Naples. On the other hand, A Discovery of Witches wasn't my favorite, but it definitely made me want to visit the Bodleian library! 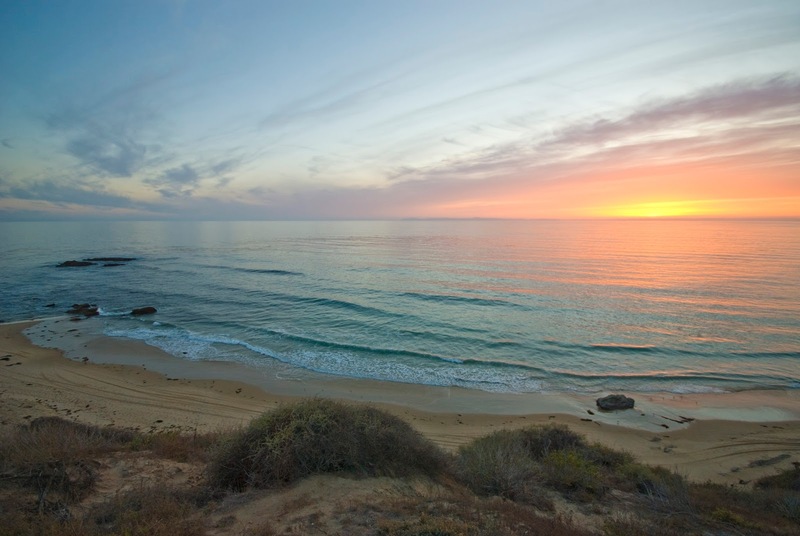 Jamie: Crystal Cove is such a beautiful little coastal town. I live about 45 minutes away and try to drive down that way every chance I can. This was a challenging topic!! I got 6 in my list! 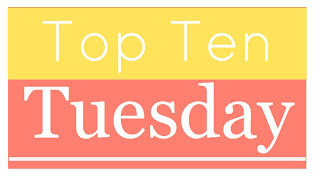 Here is a list to mine; I am new and this is my first Top Ten on Tuesday but I love the idea. I picked a really easy topic for me. Thank you for hosting this! I would love to visit Russia and France. They seem like really great historical places to visit. I'd also love to visit the UK. I'd love to visit Naples, Italy one day! And the Bodleian Library. Yes, those would be on my real-world destinations list. 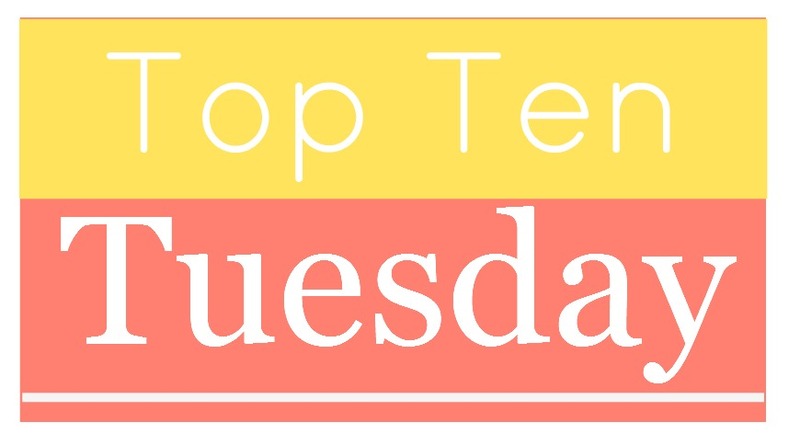 :) I shared my list (a little more fantastical!) here.